Evil Roy Cowboy Action Holster. 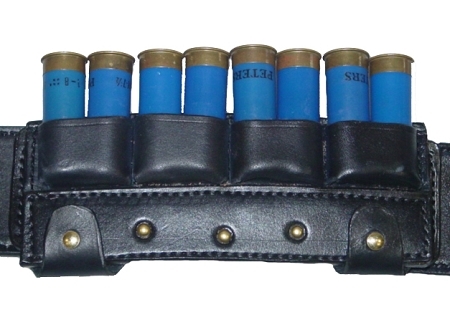 The most advanced leather holster available is constructed with a full steel lining laminated between 2 heavy leather layers. 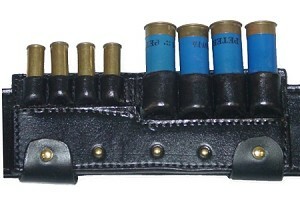 Most leather holsters are a single layer of leather, or a heavy outer leather layer with thinner inner leather, or leather with a steel band at the top. 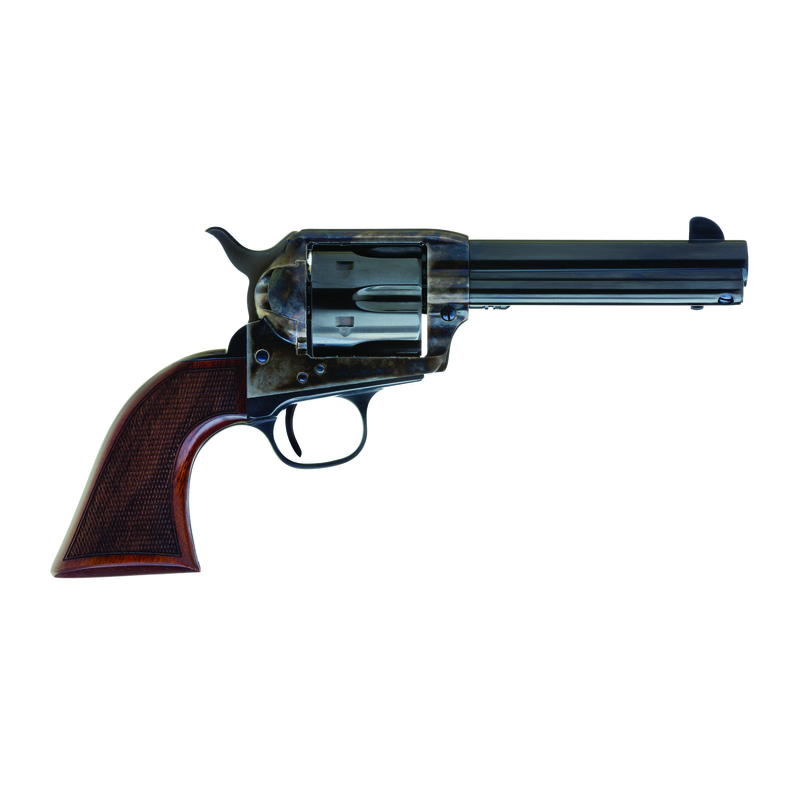 The advantage of a full steel lining is that it is more rigid and has a steel reinforced front sight channel to prevent snagging leather with the front sight. Most leather holsters come out of the box too tight, then with use get about right, then get too loose to retain the gun properly. You won’t have this problem with the Evil Roy Holsters. The inner leather lining is heavy so it will conform to the shape of the gun. The steel lining can be adjusted in or out for more or less retention. 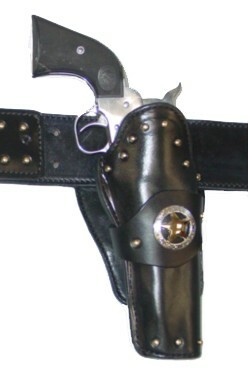 The heavy outer layer of leather protects the steel lining and gives the holster the cowboy look and feel. 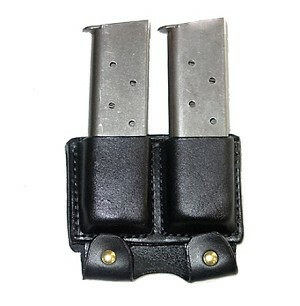 You get all the performance and retention of a modern Kydex (plastic) holster with a leather holster. The new Evil Roy has more of a late 1880’s look with a taller side that provides a longer funnel for faster more positive re-holstering. The trigger guard is exposed and the front of the holster is cut down to aid in a fast and efficient draw as quick as the “fast draw” type holsters on the market. 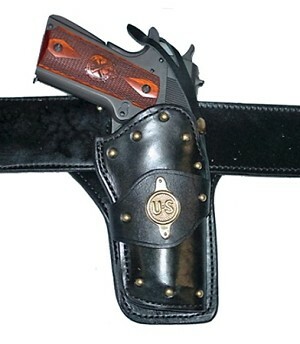 The holster is manufactured by long time maker Ted Blocker Holsters in Oregon. The rig can be ordered with right and left straight up neutral cant holsters, left and right muzzle forward cant holsters, a right or left strong side with a cross draw or any other mix of left, right forward cant and neutral cant rig you want. 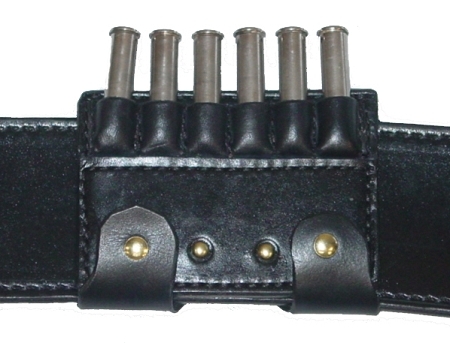 The Evil Roy gun belt is a 2 ½ inch 7 hole belt with a natural color suede lining which helps keep the belt from sliding around on your body. There is no dye used on the inner layer so no color will stain your clothes. 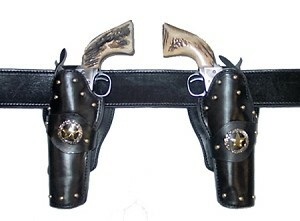 The measurement for the belt should be at just below the hipbone so the holsters hang straight. Please actually measure. Pant size may not be the correct size. The standard belt is straight cut. A contoured belt can be substituted at no extra cost for women who have more rounded hips. An optional belt with 2 inch in and 2 inch out (four inch total) adjustment can be ordered to accommodate weight loss or gain. This adjustment can be a handy for those wear heavy clothing in the winter. 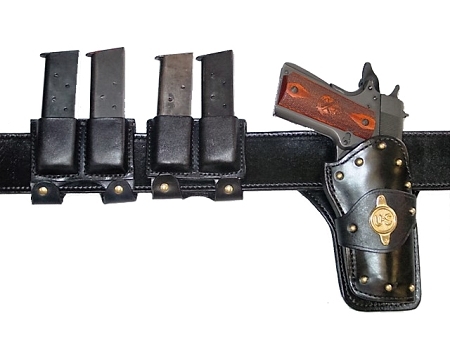 “Evil Roy’s” personal rig is 2 strong side neutral cant holsters on an adjustable belt. Should I use two strong side holsters or cross draw rig? Which is best? The answer is to use what you like best. As far as speed the 2 strong sides or cross draw rigs are about equal in speed. I think the 2 strong sides are more versatile and give more options in gun handling but, in the ranks of the top shooters, it is a toss-up between the two. Should I use muzzle forward or a neutral cant for the strong side holster? Again, go with what works best for you or what you prefer. We sell both. As far as pure speed with accuracy most of the combat shooters in the world use straight up neutral cant holsters worn on the side at about the 3 o’clock position. The gun comes straight up and the muzzle is pushed straight to the target while tracking and aligning the sights to full arm extension. Many like a muzzle forward cant which forces one to wear the holster further forward which angles the gun to the center of the body. A cant requires that the gun to be backed up slightly during the draw and then to swing the gun slightly to the right or left to get in line with the target. Both of these actions use up small amounts of time and can affect accuracy. Some wear straight up holsters in the crotch draw position. Some do the same with forward cant holsters. You will find very good shooters using all the carry positions. Is a straight wrist (muzzle forward) or bent wrist (neutral cant) draw best? There is no difference in either with an aimed shot. The only difference as mentioned earlier is the forward cant does require a slight backing up of the gun to clear leather which adds time to the draw. The Evil Roy Holsters come plain or with a Texas Star concho and/or brass rivets at no additional charge or by quote other options such as Border stamping or more elaborate carving.